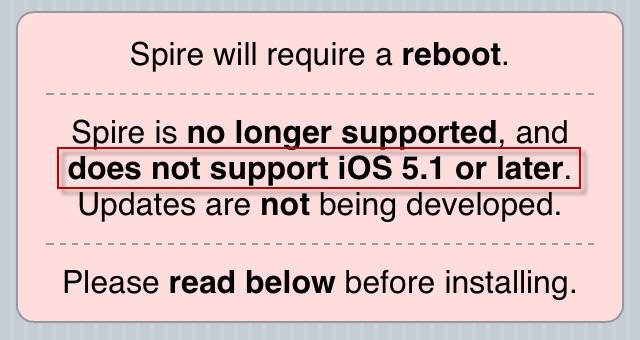 Spire the Siri port for non-iPhone4S Apple devices is sadly no longer developed and would even refuse to install on Apple iOS 5.1 . While trying to install via Cydia you will receive the following error. However, there is an alternative way to get this on iOS 5.1 as shown ahead.